n00bfest - View topic - New Internet! So with the purchase of the truck I decided to try and save money and lower my internet from the 120 Mps to 55 Mps to save money. I thought I would cut my bill in half but when I saw the cost it was only $12 a month I was saving but I was losing more half my speed and half my download cap as well. Then I noticed they had a faster package that was only $5 more a month and with the free modem rental it worked out to $2 more a month. 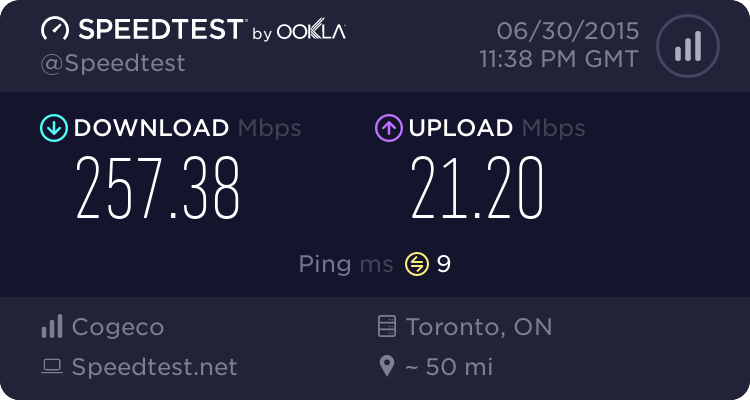 So this is my new internet!